As well as assessing hearing and providing hearing aids, we also supply a range of high quality custom made hearing protection for musicians, industrial workers, motorcycle riders, recreational sports such as shooting and also earplugs for sleeping. We can also supply custom moulds for iPods and MP3 players which are not only more comfortable than generic ear phones, but allow you to listen to music at a safer volume level by blocking out more background noise. We can offer advice and a range of devices to help manage tinnitus including white noise generators and maskers, bedside sound generators, relaxation devices and pillow speakers for discreet listening. Tinnitus solutions can be incorporated into some of our hearing aids which have Zen or sound therapy. If you have purchased hearing aids elsewhere but have been unhappy with the way they have been programmed or are disappointed with the service you have received, we can offer a reprogramming service to help you get the best out of these devices. We charge a fee of £75 which includes a full hearing assessment with pure tone audiometry, and reprogramming your instruments more accurately to suit your hearing loss and requirements. You also receive a further follow up appointment free of charge in case you require additional fine tuning. If you require a set of ear impressions to send to other hearing protection providers we are happy to provide these for a £25 fee. We offer a range of telephones including mobile phones, specifically designed for the hard of hearing that are fully compatible with hearing aid use. We can also supply a range of assistive devices such as amplified doorbells and vibrating alarm clocks. We are able to clean and repair any make of hearing instrument. Some minor repairs can be done while you wait. We sell all sizes of hearing aid batteries, wax protection filters, cleaning equipment and other accessories. 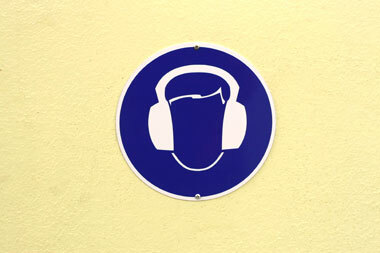 If you are an employer whose staff work in high noise levels and you conform to the Control of Noise at work Regulations 2005, you may be interested in our industrial hearing services. We can manage your company’s Health Surveillance. An HCPC registered hearing aid audiologist can carry out annual hearing screening checks or full audio assessments for your employees and provide reports on the results. Contact us for more information. We can provide hearing assessments and reports for solicitors dealing with Noise Induced Hearing Loss (NIHL) claims. We provide accurate and reliable results conducted to the required standards. This is a service which can help manage cases and costs more efficiently and effectively. Contact us for more information.